Barcelona, XIVth century. A city against its own borders. During the Middle Ages, Barcelona was a city full of opportunities, capable of bringing some illusion to those who went there to stay. Like the family of Jaume Miravall, a clever charismatic man from Reus who wants to make his dreams come true and become a merchant to travel overseas in search of new markets, adventures and knowledge. However, the whole family will soon find a place were also misfortune, treachery, wickedness and death is part of the setting. 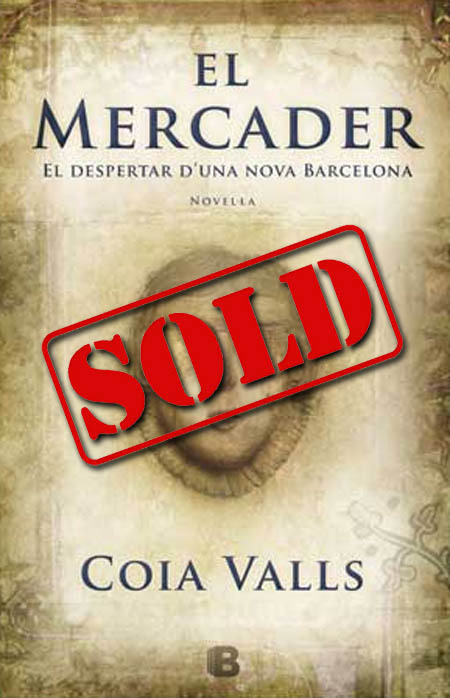 With Barcelona as the main scenery, but also with Reus, València, Tortosa and exotic settings as Cefalú and Alexandria, the novel is about the huge dosis of effords and hope we need to achieve our goals, and how we stand up to keep walking even when everything seems to be lost. A marvelous fresco of a city and a time from which we still owe lots of things.